National university has announced a new circular / notice about the honurs 3rd year form fillup. 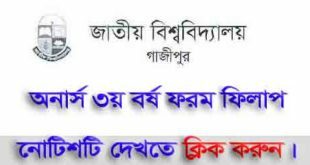 NU Honors 3r year form fill up will start from 8th January 2017 to 28 January 2017. 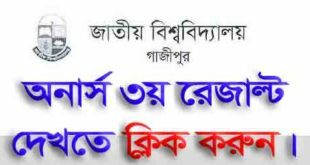 Every students of honors 3rd year of national university; should fill up the form to ensure to participate in the next examination. 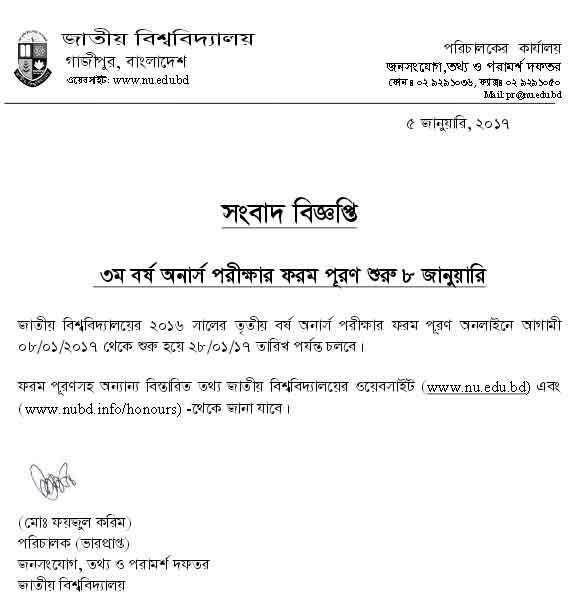 As a result this notice is very important for all the bangladesh nu students of third year honours. Please share this news via social media with your friends and family members.